Lakewood Nat’l, FL: Visit, get credit back w/home purchase. > Lakewood National, Bradenton FL presents a “Fly and Buy” program designed to encourage potential buyers to visit Florida over the summer months, when real estate is slow, and view property at Lakewood National. It offers a $1,000 credit on the closing statement of a home purchase. Lakewood National is a new community and only new homes are being offered. Send me more information about Lakewood National! 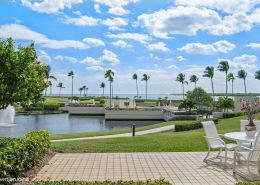 Sailfish Point, FL: Strong sales at this oceanfront community. 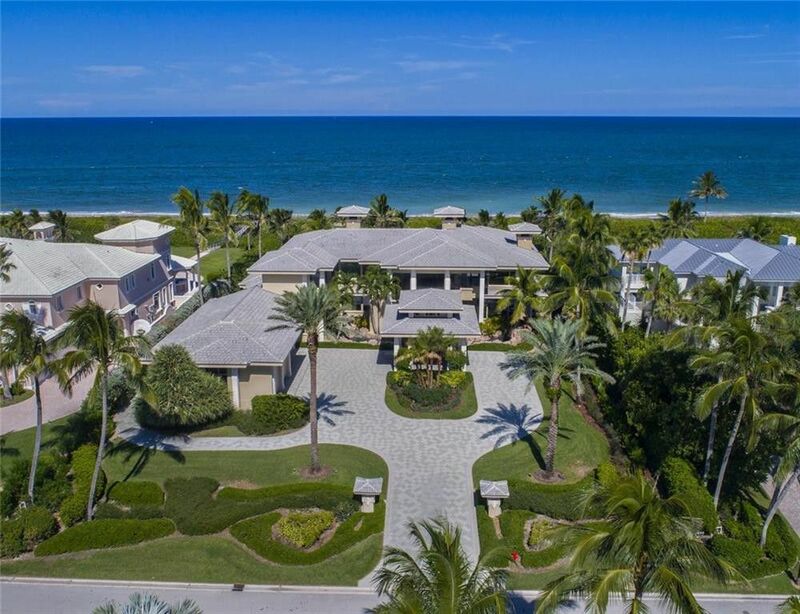 > Sailfish Point, Stuart FL, the 532-acre oceanfront luxury community on Hutchinson Island, 45 minutes north of Florida’s Palm Beaches, is reporting a strong and healthy $36 million-plus in home sales for fiscal year to date 2019, maintaining recent growth. The community has 520 move–in ready residences including spacious waterfront and beach-lined estates, villas, low–maintenance condos and townhomes with private boat slips. Send me more information about Sailfish Point! 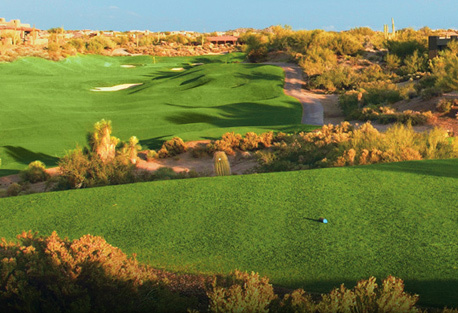 Desert Mountain, AZ: Another course coming this spring. > Desert Mountain, Scottsdale AZ will unveil its seventh golf course and clubhouse this spring, a par-54 layout that will serve as the focal point for the exclusive Seven Desert Mountain community. The course is compact yet highly challenging and is one only two private, par-54 courses in the U.S. Send me more information about Desert Mountain! There are panoramic views of the Atlantic Ocean and the St. Lucie Inlet from this spacious, 2,400-sf condominium residence at Sailfish Point in Stuart, FL. Located at 2804 SE Dune Drive Unit 1110, it features a chef’s kitchen, terrace and master suite. Offering privacy, security and premium amenities in a natural setting surrounded by ocean and inlets, Sailfish residents live in spacious beachfront homes and intimate oceanfront condos, golf-view villas and townhomes with private docks. Homeowners enjoy their beachfront property in freedom and security. Homes and lots around the harbors offer private, deepwater slips that put boats just steps from your door. Send me more about this home in Sailfish Point! This 3,946-sf home at 3030 SE Island Point Lane enjoys an ideal location just steps from the Atlantic Ocean, with prime views of the St. Lucie Inlet from a widow’s walk reached via spiral staircase. Homeowners enjoy their beachfront property in freedom and security. Sailfish Point Security is a private entity providing 24-hour patrols of roads, waterways and beaches. Security clears all guests, contractors, service personnel and residents. Send me more about this home in Sailfish Point! This 3,615-sf Mediterranean-style estate home at 7025 SE Harbor overlooks a lake and the Sailfish Point golf course, and offers new floors, gourmet kitchen and more. Red Ledges, UT: Beautiful weather and views await. > Red Ledges, Heber City UT has great fall weather on tap and a team of professionals waiting to guide you on a Discovery Tour of the resort community. Stay inside the gates for two nights in luxurious Club Cabins and experience the Red Ledges lifestyle with fun options on-site (golf on the Jack Nicklaus Signature Course, tennis at the Cliff Drysdale campus, fine dining, and more) and nearby, including world-class hiking and fly fishing. Send me more information about Red Ledges! Comanche Trace, TX: Tour several homes this fall. > Comanche Trace, Kerrville TX will hold its Tour of Homes event on two separate weekends this fall, Sept. 28-30 and Oct. 5-7. Six homes ranging in size and varied in style will be on the tour. Five of the community’s Featured Builders will be on hand and available for discussions. Tickets purchased are good for any day of the Tour of Homes. A portion of ticket sales will benefit the Texas Lions Camp. Send me more information about Comanche Trace! Sailfish Point, FL: Come to downtown Stuart Oct. 20-21. > Sailfish Point, Stuart FL residents are looking forward to the weekend and the 19th Annual Downtown Stuart Craft Festival, happening Sat.-Sun., Oct. 20-21, from 10 a.m. to 5 p.m. each day. The popular festival is a showcase of high-quality photography, paintings, sculpture, jewelry and more, by local and traveling crafters. The location is SW Osceola Street, a block from Stuart City Hall and admission is free. Send me more information about Sailfish Point! Jupiter CC, FL: One of Toll Bros’ communities. Once again it’s time for a true highlight of the vacation-home buying season, the annual Toll Brothers National Sales Event, which runs Sept. 8-30. This is a chance to personalize your home with limited-time incentives. Send me more information about Dominion Valley! Send me more information about Hasentree! Send me more information about Brier Creek! Welcome to the sixth in a special Golf Course Home series called the “Top 20 Golf Communities in North America.” The series focuses on the golf communities that are leading the charge to creating more soul-satisfying, inclusive community experiences beyond golf. Achieving financial success allows an individual the satisfaction of supporting or endowing a worthy cause. When you get a whole lot of these folks together—as happens at communities throughout GolfCourseHome.com —their combined resources and idealist instincts can lead to the establishment of a full-time foundation for philanthropic activity. At these three communities, doing good is no less valued than living well. > Dataw Island, SC, sponsors not just one member-based and cause-related group, but several. Probably the two best-known are the Dataw Conservancy and the Dataw Historic Foundation. Dataw members can be found doing good locally swinging a hammer to build a Habitat for Humanity House, picking up litter or combing the beach to spot and log sea turtle activity. On-island, members plan charity runs, tend to a butterfly garden and hold numerous fundraisers. In June, the Dataw Splash USTA tennis event draws players from across the US and raises money for Special Olympics. Each Veterans Day, the community honors veterans with a ceremonial parade, a golf tournament and other gatherings—to date more than $130,000 has been raised for this cause alone. Send me more information about Dataw Island! > Indian River Colony Club, Melbourne-Viera FL is a 55-and-over community founded in 1986 as a a premier retirement destination for military officers, which gave it a natural basis for civic and charitable endeavors. Recently, the Indian River Colony Club Foundation gathered donations to acquire a specially outfitted golf cart valued at $3,000 to benefit patients of the local Veteran’s Administration Clinic. This public-spirited effort nicely serves the need of clinic patients who previously had to make long treks from the far reaches of facility’s expansive parking lot. Along with the IRCC Foundation, other cause-related activity includes fine work done by the Helping Hands Neighbors Group and the Survivor Assistance group. Send me more information about Indian River Colony Club! > Sailfish Point, Stuart FL offers a lifestyle that mixes recreational pleasures with serious efforts to better the lives of those in need. The award-winning Sailfish Point Foundation is fixture in this Treasure Coast community. It’s dedicated to supporting college scholarships for Sailfish Point employees, their spouses, and their children as well as for Martin County high school graduates who demonstrate achievement, commitment to learning, and community service. Since its inception 20 years ago, the Foundation has awarded more than 1,200 scholarships totaling more than $4.0 million. It also makes donations to a number of Martin County-based educational programs such as Indian River State College and Martin Health System’s nursing education. Send me more information about Sailfish Point! Check back to this page in the future for links to additional posts in this series which will be added here as they are published. You can also find links to all posts in the series at the end of each post as they are added.